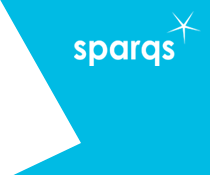 sparqs supports a professional network for staff with academic representation co-ordination roles in universities and colleges. Introduced in 2016-17 it builds on our previous, but narrower in scope, network for Course Rep Training co-ordinators. Strong and effective academic representation is crucial to the student view on learning, and good professional staff support to representatives and representative structures is in turn essential to make this happen. These roles generally lie within students' associations (though can often be institutional posts) and are responsible for course and lead rep systems, support to senior students' association education officers, liaison with institutional staff on student engagement in quality, and ensuring effective student representation on institutional committees and in other key quality processes such as reviews. Activities of such posts can include recruitment, training and support of reps; research on key learning and teaching developments; supporting student engagement in committees, feedback and review processes; and providing a permanent point of contact for institutional staff and others. As lynchpins to student engagement in quality, academic representation co-ordinators require substantial knowledge, skills, experience and support. The ARC network meetings, founded on the themes of "learn, share, develop", aims to help provide that through a series of three events per year. The events engage participants in discussion around key sectoral developments, consultation on new initiatives within sparqs, and opportunities to share and reflect on personal and professional practice in supporting academic representation. There is a Jismail group for the ARC network which is a forum for discussion of the events and their content as well as for exchange of related work. To join the mailing list please contact Simon Varwell..
- see the event page to view the materials from the day. - see the event booking page to book your place! Suggestions are always welcomed for topics for the ARC Network meetings. If you would like to propose anything, please contact Simon Varwell. You can also save the date for the first meeting of 2019-20 ~ Tuesday 19th November 2019 at Fife College! Further details to follow in due course. - see the event page for further information and materials from the day.